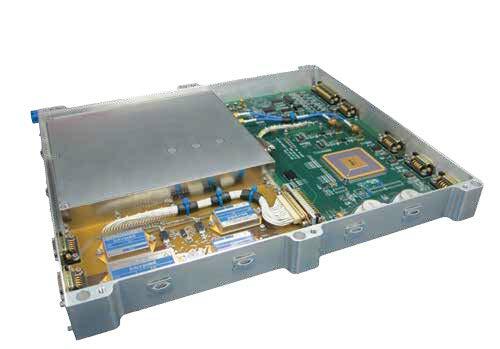 The PDT-50 series X-Band Transmitter Suite is a high performance payload data transmitter designed to provide high bandwidth and high speed data downlink of up to 50Mbps. The unique 8-patch antenna design offers high mission flexibility and robustness in data transmission. With complete ground coverage, any of the 8 antennas can be used as a downlink to the ground stations. The PDT-50 Transmitter Suite consists of 8 selectable patch antennas with individual Solid-State Power Amplifier (SSPA) modules, as well as 2 RF transmission chains for increased redundancy and communication coverage.